In the decades since the early 1990's, Italy's countryside has seen a revolution with the explosion of the agriturismo, or farmstay. An agriturismo is a working farm which offers accommodations and/or meals to tourists in rural areas across Italy, and can include hospitality in anything from rustic self-catering farmhouses to full service luxury relais. Conceived as a way to counteract the large scale abandonment of historic farms in post-war Italy by giving rural populations an alternative source of revenue, the agriturismo has been one of the most important evolutions in tourism in Italy in the past half century. 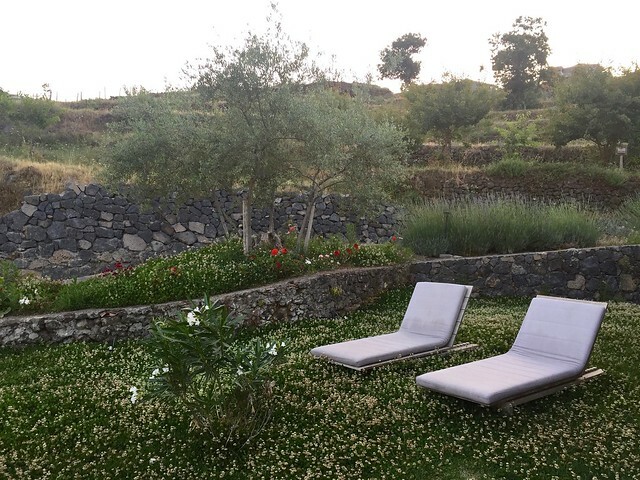 Though farmstays dot Italy's landscape, like all things Italian, they differ widely by region. From the wooden alpine baita in the north to Puglia's stately stone masseria, most agriturismi reflect the surrounding rural architecture and local agricultural traditions, so a stay in one can be a unique window into the authentic and rapidly disappearing culture of the countryside. 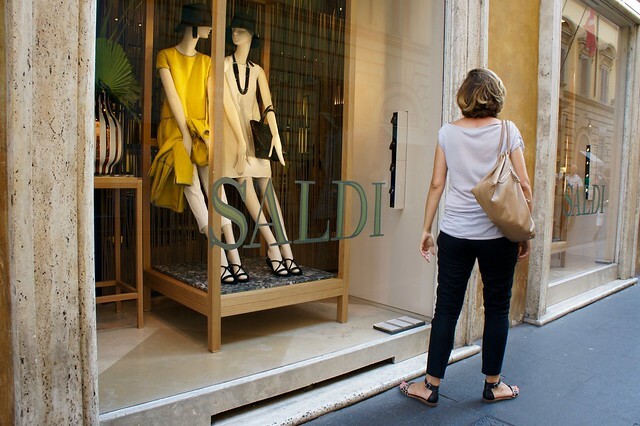 The summer sale season has begun in Italy, a country where driving is largely anarchical yet periods in which stores can hold sales are highly regulated region by region. There are two officially sanctioned periods each year - summer and winter - during which almost all stores hold a massive clearance sale lasting from a few weeks to two months, making space for the following season's new arrivals and throwing bargain-hunting Italians into a shopping frenzy. There are incredible deals to be found during the sale seasons, especially for those with a bit of patience who can hold out to the final days when stores offer up to 80% off their normal prices in a final push to clear their stock. However, if you are not traveling during these magical weeks, you will probably not stumble upon surprise bargains; shops are only allowed to advertise special offers in very specific cases (going out of business sales, for example). There are many iconic sights in Rome that immediately come to mind when thinking about Italy's most visited city: the Colosseum, Trevi Fountain, Pantheon and the Vatican are all unmistakable monuments. But most Italians could recognize the Eternal City by simply looking down at the road under their feet. 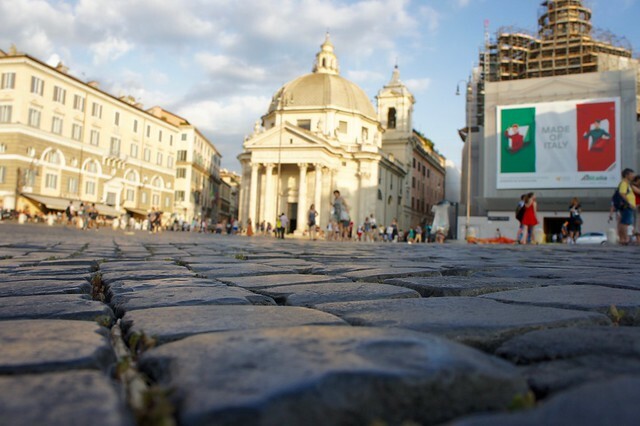 Most of Rome's historic center is paved with a unique type of cobblestone called “sampietrini”. These are 12 centimeter cubes of black basalt, trimmed and set in straight rows or intersecting arches on a sand or earth foundation, with the same sand or earth filling the space between each block. When the temperatures soar in Rome each summer, the city's historic fountains are tempting with their cool waters sprinkling and bubbling over intricate stonework and into shimmering pools in the center of torrid, sun-baked piazzas. Don't give in to the urge to take a dip, however, as it is illegal to bathe in the Eternal City's monumental fountains, many of which have been damaged recently by reckless visitors climbing and frolicking on their delicate marble. But do stop to admire these stunning works of art and utility, and even quench your thirst... many have drinking fountains worked into their design!